I’m trying to decide if jello can be considered dessert. I feel like it all started way back when people brought jello molds to dinner parties. I tried to google “old fashioned jello desserts” because I wasn’t alive when jello was booming, and I got nothing! I really wanted to see some classic jello dessert because oh my goodness I know there are some good retro jello recipes out there! Well.. this is how we do jello in 2016 (and any year really)! In fun glasses, looking so sparkly, and layered. Of course when I start thinking about ushering in the new year, I think about gold and champagne. 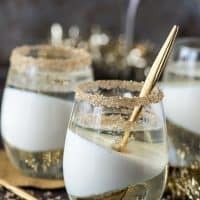 Right in line with the champagne cherry poke cake and champagne cheesecake shooters I shared last year! 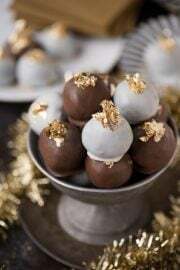 We’ve added more gold new year’s eve dessert recipes too! 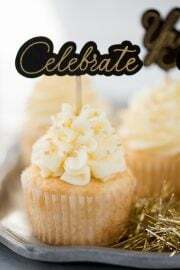 Easy champagne cupcakes that start with a box mix! Midnight Kiss Cookies – a fun New year’s eve cookie based off of peanut butter blossom cookies! 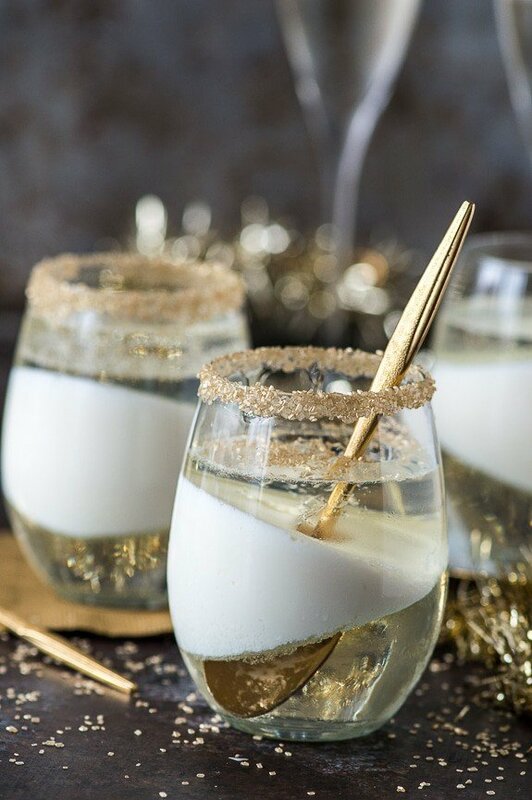 So let’s keep going with the gold and champagne theme with these fun champagne jello cups! 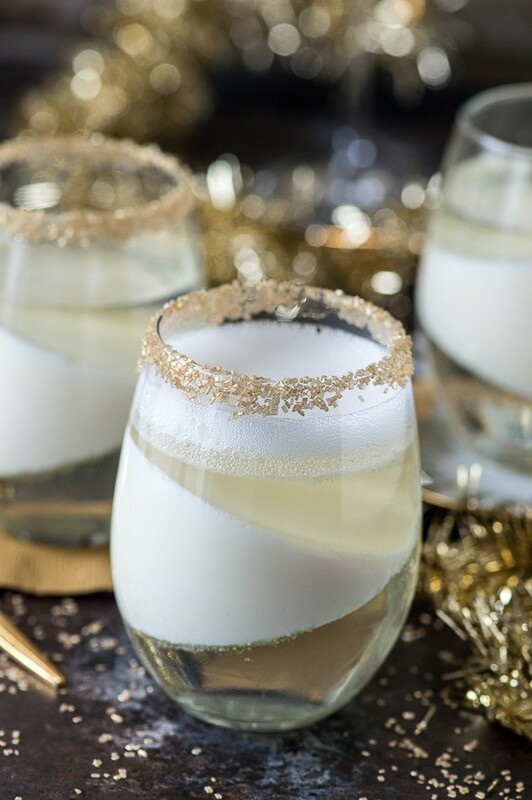 These cups have 3 fun layers – a champagne jello layer, a sweetened condensed milk jello layer, and then another champagne jello layer. Plus there are gold sprinkles and a gold spoon!! ???????????? How can you get sprinkles to stick to the rim of a glass? 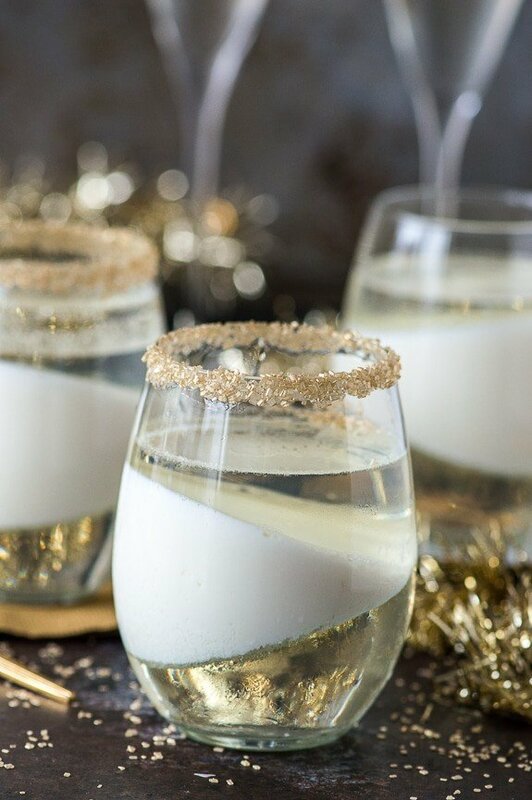 To get the gold sprinkles to stick to the rim of the glass you just need a little corn syrup. 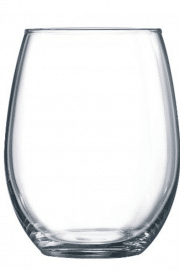 You can either use your finger, a small metal spatula or a small new paint brush to dab a little bit of corn syrup around the rim of the glass. Then turn the glass upside down into a shallow bowl of sprinkles and the sprinkles will stick! I added the sprinkles after the jello was set – I was slightly worried that the weight of the jello would cause it to fall out, but it didn’t! However, I would recommend going as fast as you can when placing the glass in the sprinkles.. no one wants to lose any jello! 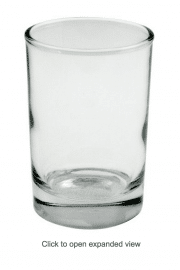 What size glasses should I use to make champagne jello cups? The glasses I used are mongo BIG, 15 oz! That’s a whole lot of jello in one cup. You could definitely use smaller glasses, like these 5 oz ones I used in this white chocolate raspberry dessert mousse recipe, that way you’ll have more glasses to go around! To make champagne jello shots/cups you’ll need champagne, boiling water, gelatin packets and a container to put the jello in. The basic jest of making champagne jello is to combine the boiling water and gelatin, then add in the champagne and pour into containers to set! These are just the prettiest!! Holy Cow, these Jello Cups are beyond beautiful. Luxurious, sumptuous, and stunning dessert. I made some years back sparkling wine jello, and I loved it, but needless to say mine never looked so sparkling. Oh boy, love this gold theme! Amazing pictures, too. They should be on covers of the reputable food magazines. Fantastic job, Beth! Beth I love this idea!! perfect for NYE!! This is such a fun dessert Beth! I love the combination of the champagne and creamy layers. It’s perfect for New Year’s Eve! Jello all dressed up for NYE! These are so fun!! Loving the gold and champagne theme! And I love those golden spoons you have too :) What a perfect treat to ring in the New Year! I found those gold spoons for $1!! This is so on my list of things to make. I should have gotten some this weekend to make for fun! They look so festive! Yum! THIS is my kind of drink and it screams “Happy New Year!”, so pretty and so fun! These are absolutely gorgeous! I would love to have these on NYE! How fun are these!?! Such a cute idea for NYE! Yum! Lovely presentation!!! Where did you purchase the glasses? These are absolutely gorgeous! What a great way to ring in the New Year! Stunning! 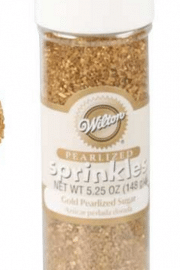 The gold sprinkles have me swooning!! I absolutely LOVE the way the layers look in this dish! I mean champagne jello? Who can refuse? Hope you have a wonderful new year’s celebration! This is absolutely gorgeous! I would love it if you would link it up to tipsy Tuesday at Grey is the New Black. 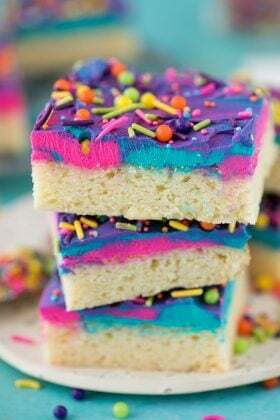 Hi, this looks so fun, beautiful, and yummy. Can you please let me know how many servings this recipe yields approximately. Thanks! Hi Nicole! It really depends on the size of cups you use! This jello looks so festive ,can’t wait to try it on my friends and family. 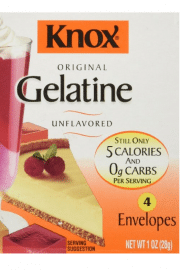 However I don’t use packet jello, what would the measurement be for the jello? How many servings were you able to get out of this recipe using your 15oz glasses? These are so pretty! Very creative idea! I don’t drink alcohol, so I am totally thinking about trying these with Martinellis sparkling cider! Hopefully they turn out! Thinking of these for our Silver Wedding anniversary, and maybe 7up instead of champagne, and silver sprinkles. How many of the 15 oz servings did this recipe make? That sounds AWESOME! This makes recipes 3 full 15oz glasses.. but that’s a lot when packed in there! You could use smaller cups to yield more servings! Hello Beth. Incredible…how did you know i could exist on Champagne alone! I have just found your blog, looking forward to great recipes. Thank you so much. Hmmm … wondering how the champagne pairs with the milk? Any bubbles in the jello or is it like day old bubbly? Hi Janet! There aren’t visible bubbles in the jello. How many cups do you get from this recipe? Love it , no one asked where you purchased the spoons. Its been over a year ago now but ???? Hi Camille! I got them from a local antique store! Hi Beth It looks absolutely beautiful! 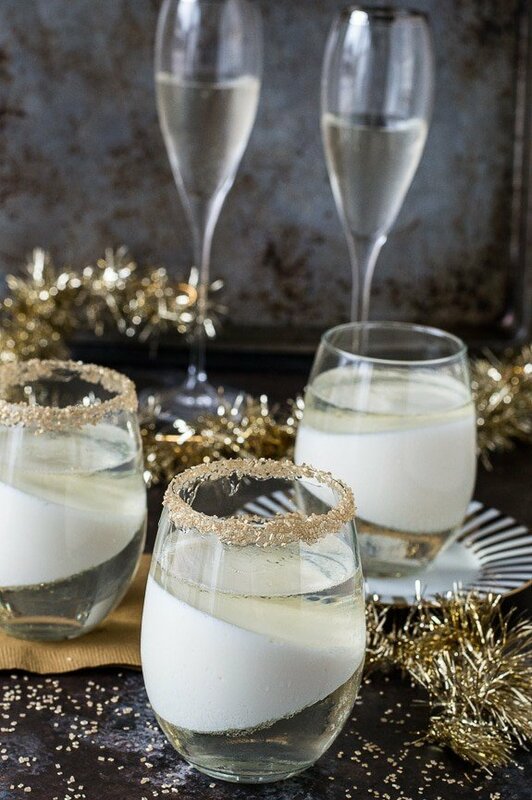 I noticed that within one glass you have some real bubbles on top, is that champagne or do you have a way of making a foamy look or something? Hi Anne! I poured champagne on top for a picture. In the process of making these now! So pretty. Question. How long does it take between layers approximately for gelatin to set before the next layer? Hi Maureen! I’d recommend seeing what the jello looks like after 30-60 minutes and see if it looks set. 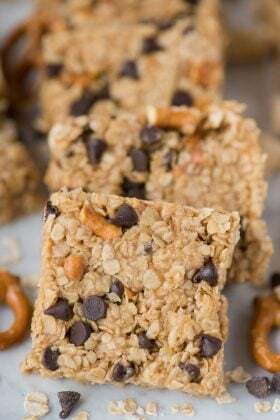 Can these be made ahead of time? Thinking of this for my wedding. My fiancee is allergic to egg so we are looking for some non traditional wedding cake ideas. 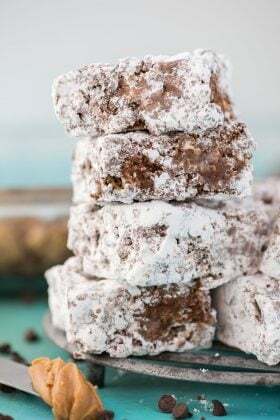 100% you can make these ahead of time! What can size of the condensed milk should it be? 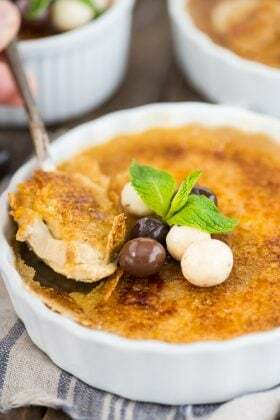 These look beautiful and just what I’m looking for since I have to bring a dessert for a party this year.. Just a quick question on the condensed milk – is it a 14 oz can or smaller? thank you! Hi Tracie! I can’t recall for sure, but it’s whatever the stores carry! Powdered gelatin blooms in cold liquid. Is the recipe for champagne jello correct? Add gelatin to boiling water??? Yep, follow the recipe as described! Question…do you think being in high altitude may have an impact?